I have really loved being a part of a book club this year. Every month, a book is chosen and a small but formidable group of us gathers together in a cozy bookshop to discuss it. I have to say, it has become one of the highlights of my month - even though I usually just sit back, eat some breakfast, drink my coffee and listen. But that's another sad story for another day. I have met some really smart, amazing people through this group. I've also read some books I never would have picked up otherwise (or probably even heard of). 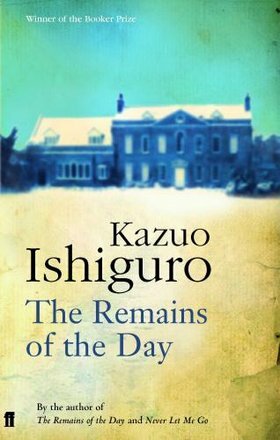 This month's pick was The Remains of the Day by Kazuo Ishiguro. While I enjoyed reading it, I think the true secret passion of this story lies in what is not said. And the more time I spend away from it, having finished it, the more the story touches me. It's a slow but deliberate realization, how beautiful but tragic this book is. It is told entirely from the perspective of Mr. Stevens, the butler of a grand English house called Darlington Hall. He finds himself facing a motoring trip around the English countryside, which is highly unusual for him, having dedicated most of his life to serving at the house, never having cause to leave it. The house is now owned by an American gentleman, but the majority of the story is focused on Mr. Stevens' memories revolving around his many years serving Lord Darlington. World War, politics, powerful leaders, rumors, Jewish oppression, Nazi support, and how to serve a proper dinner are things Mr. Stevens is confronted with throughout his life service to Lord Darlington. Through it all, he is loyal, steadfast, and an absolute professional. I found Mr. Stevens to be a fascinating person. He spends pages upon pages ruminating on the ideals of a truly great butler, and what qualities he may possess. He also seeks the true definition of "dignity", and wonders if that is exactly the kind of quality a great butler must have. Some of his inner musings were really quite moving. I turned down the corner of a few pages, to remember the parts that particularly drew me in. I loved the way he would talk about the English countryside, being in the presence of true greatness, and then compare that same greatness to how you might feel in the presence of a great man, like his father. I began to see the trend of relationships he had enjoyed, but invariably lost. 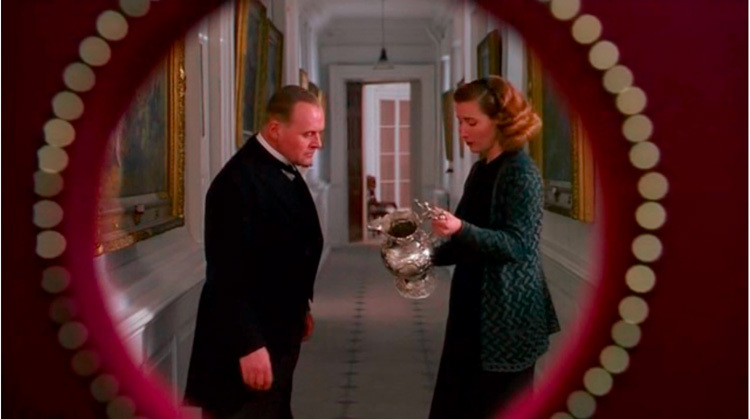 With his colleague Mr. Graham, who he spoke of fondly and often in the beginning, and most especially Miss Kenton, the housekeeper at Darlington Hall and perhaps his closest friend. But what is the sense in forever speculating what might have happened had such and such a moment turned out differently? but of course, at the time, this was not the impression one had. What a powerful, tragic, and completely accurate depiction of life and relationships. Everything is clearer in hindsight, right? When we are young we are invincible. We do not dwell on endings, only beginnings. We have the whole world ahead of us, our whole lives -- and with such carelessness the world slips right through our fingers. On a happier note, Mr. Stevens references the fact that he is consistently troubled by his lack of bantering skill with his new American employer. He is extremely stressed that he cannot joke quickly or easily, and has never carried on a bantering relationship. He listens to the radio, reads books, in order to try and better his bantering skills. For such a professional Englishman, it is funny, sweet and a little sad to see him try. Listening to them now, I can hear them exchanging one bantering remark after another. It is, I would suppose, the way many people like to proceed. Perhaps it is indeed time I began to look at this whole matter of bantering more enthusiastically. After all, when one thinks about it, it is not such a foolish thing to indulge in -- particularly if it is the case that in bantering lies the key to human warmth. There you are, Mr. Stevens. Quite right, indeed. Perhaps human warmth is the heart of the matter all along. I plan to watch the highly acclaimed 1993 movie soon, as well.